It shocked the movie industry, with its $90 million debut ranking as one of the top 40 in cinema history. It made twice the money of the second-biggest January opening ever. It posted the second-best opening on record for an R-rated movie. And it’s already made more money than every film nominated for “best picture” this year. I have seen the film, and my wife’s reaction is the best thing I can say about. She is every bit the army brat. She was born in Nuremberg, West Germany, while her father was stationed there with the 101st. She’s also a graduate of Ft. Campbell High School. We saw “American Sniper” together and when it ended she was in tears and so moved she was almost trembling. She was also silent as the final credits rolled with footage of the funeral for Chris Kyle. 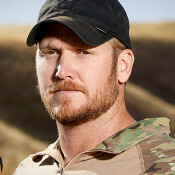 The most lethal sniper in American military history’s funeral was held at Cowboys Stadium in Dallas because of the number of mourners who paid their respects. My wife’s reaction wasn’t unique. Listeners from all over the country reported similar reactions to me. And with the film receiving the rare “A+” from moviegoers via CinemaScore, more sold-out showings are still to come. The film is on pace to gross over $200 million domestic, which would likely put it among the top 10 films for 2015 by the end of this year. But here’s a question: why? Yes, “American Sniper” is directed by one of the best ever—Clint Eastwood. However, this film has already done far better than either of Eastwood’s last two similarly excellent war films about Iwo Jima. “American Sniper” is even about the war in Iraq, which conventional wisdom tells us is probably the most unpopular war in American history other than Vietnam. So how do you explain this film opening as big as a summer tent pole release from Marvel Studios or J.J. Abrams? I believe what sets “American Sniper” apart, and why the politically-correct crowd deems it inexplicably successful, is the first word in the title. It’s not just a war movie. It’s an American war movie. It turns out there are still plenty of people between the two liberal coasts who root for the home team.